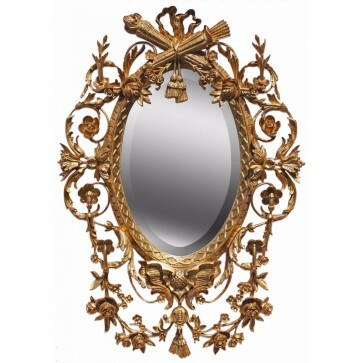 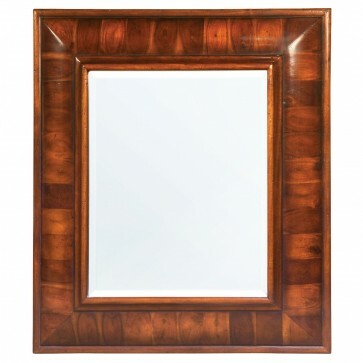 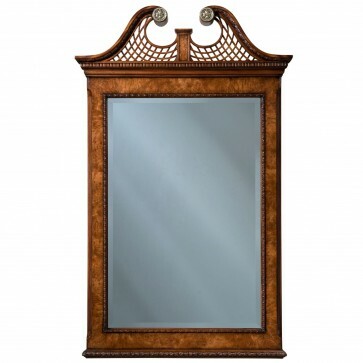 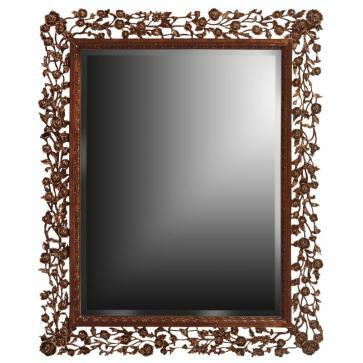 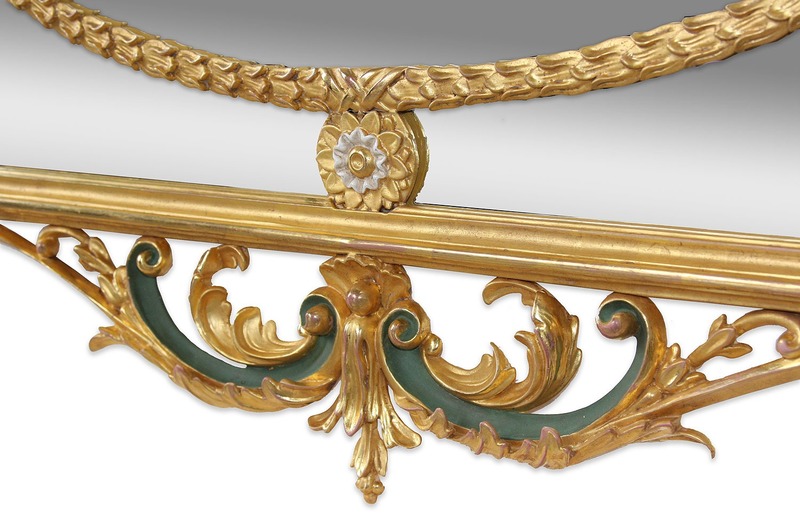 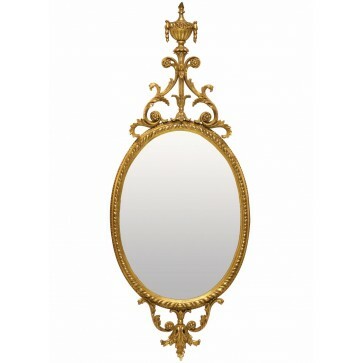 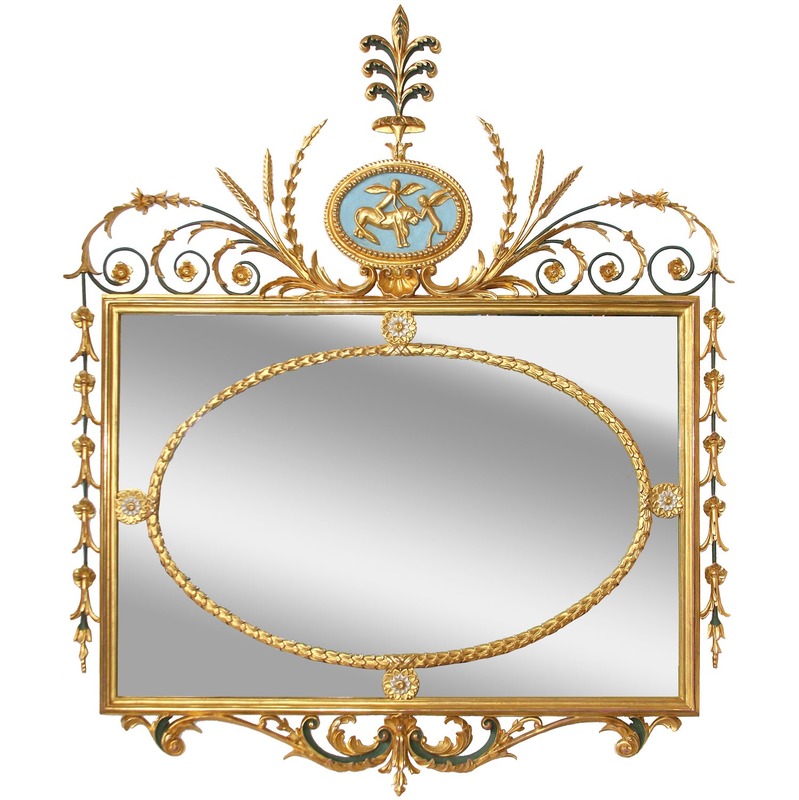 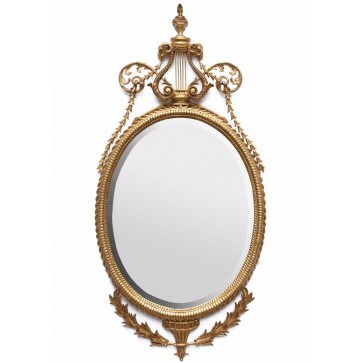 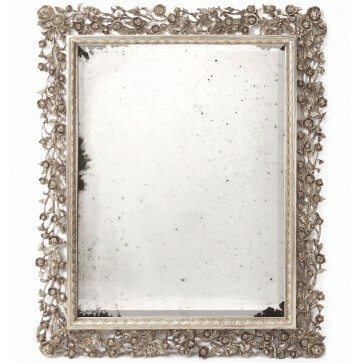 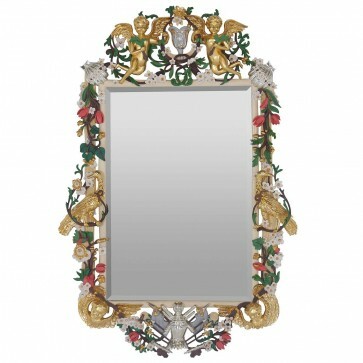 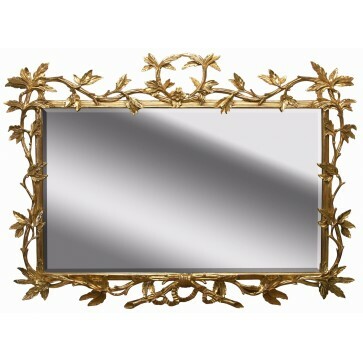 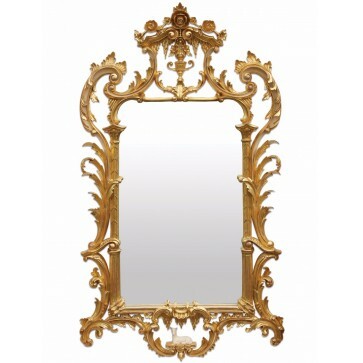 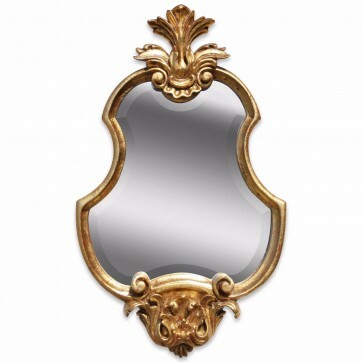 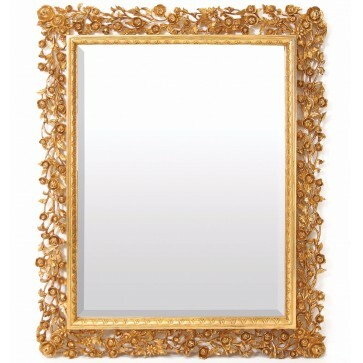 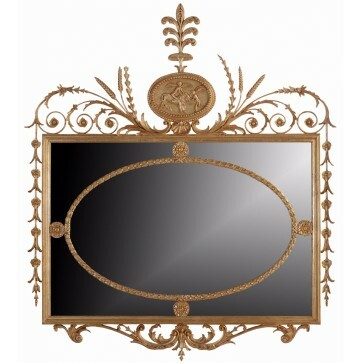 An entirely hand carved giltwood mirror in the style of an original period mirror. 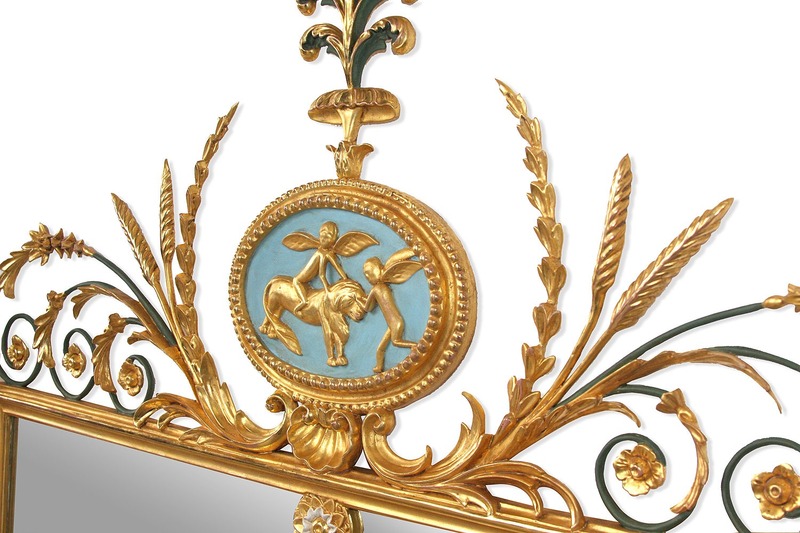 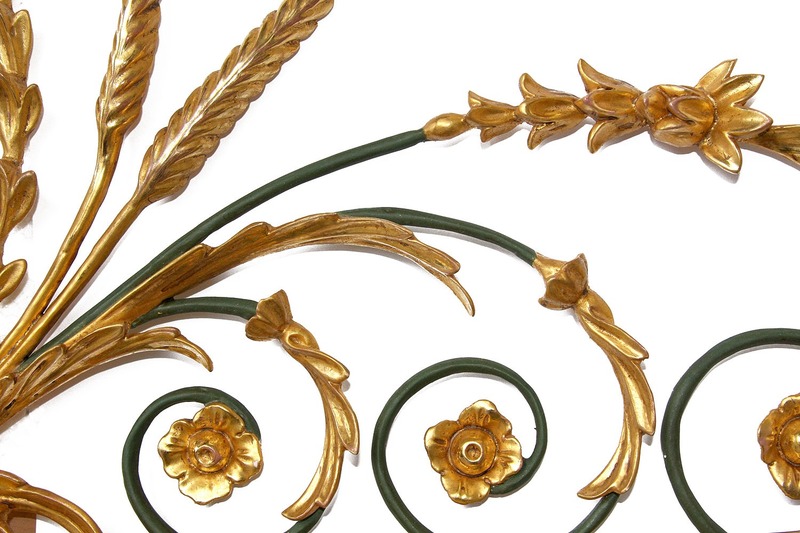 The central disc, depicting two cherubs taming a lion, is flanked by wheat and floral scrolls which continue down the side of the mirror frame which has been water gilded at our Devon workshops in 23¾ carat gold leaf with details painted in apprpriate period colours. 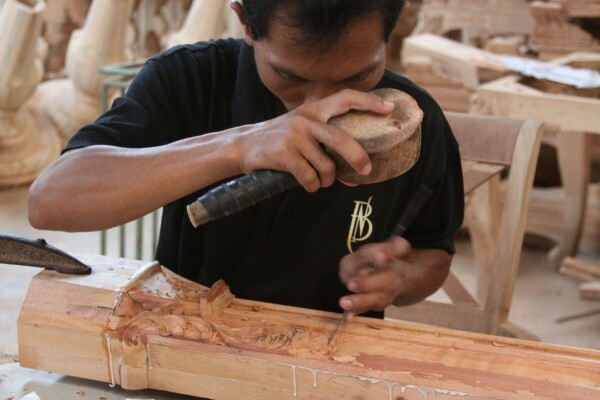 A true culmination of highly skilled, specialist artisans worldwide.